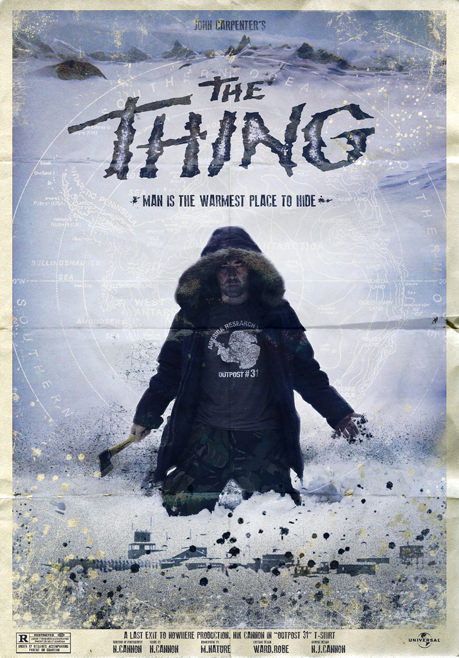 The winner of our Best Picture of the Month Competition for December is Nik Cannon with this awesome The Thing inspired image. Nik wins 3 Last Exit T-shirts from our range. If you’d like to enter our competition for this month then send us your image to: info@lastexittonowhere.com, subject ‘Best Picture of the Month’ – all entries must reference Last Exit to Nowhere in some way.